Well I wouldn’t have made this trendy/cliché recipe unless it was a good one, and trust me, no disappointment was had by the time it was ready. So whip up this festive autumn treat to pacify the pumpkin spice believers and satisfy the skeptics. Everyone is sure to gather ’round the bowl of goodies and start singing sweet October melodies, because its finally fall y’all! 1. 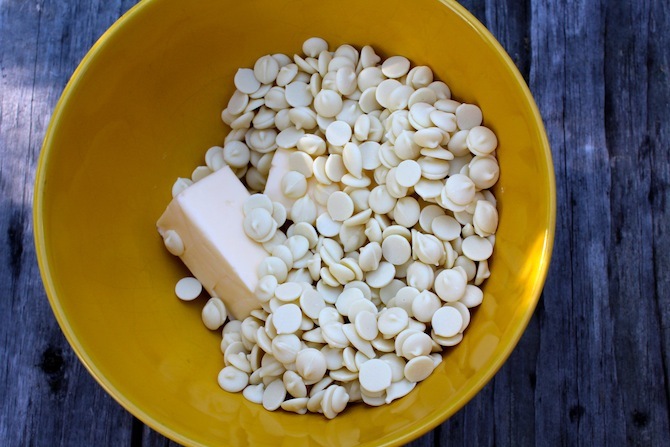 Using the microwave, heat butter and chocolate chips together until melted (stopping frequently to stir). 2. 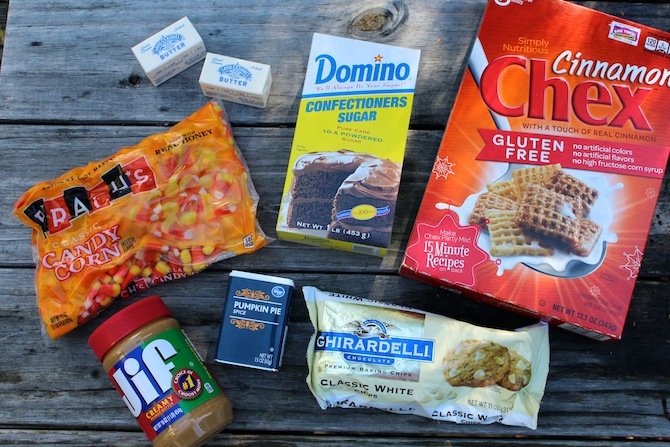 Once the chocolate and butter reach a smooth consistency, stir in the peanut butter until well combined. 3. 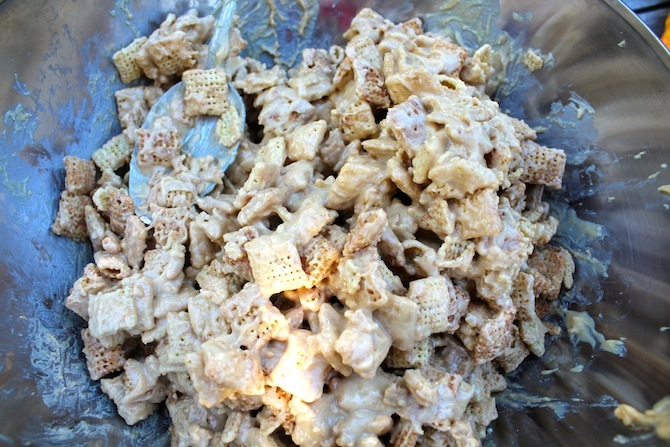 Pour Chex cereal in a large bowl, and coat evenly with peanut butter/chocolate mixture. 4. 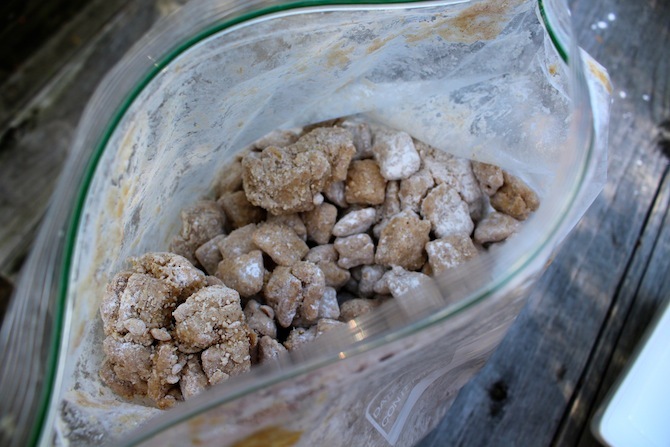 In a large ziplock bag, mix together powdered sugar and pumpkin pie spice. 5. 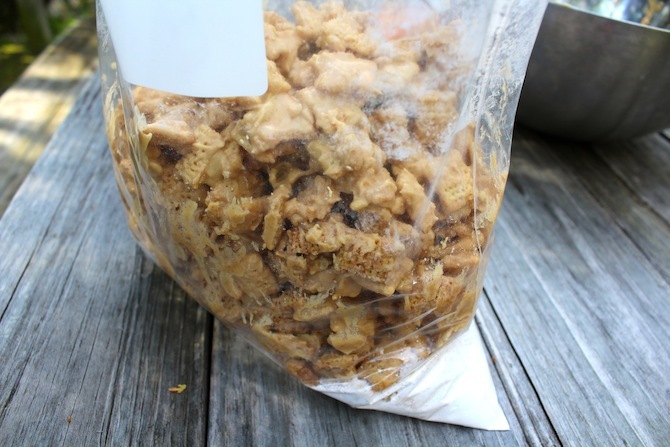 Spoon the cereal into a large ziplock bag (sprinkling with another small amount of powdered sugar if necessary). 6. Seal bag tightly, and shake to coat the cereal evenly with powdered sugar. 7. 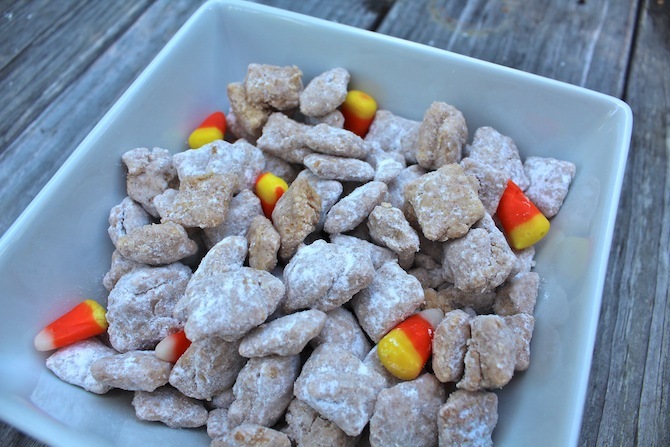 Remove from bag, garnish with candy corn, and enjoy!